Very nice job. Great quizz! I got 100 on EVERY shape quiz. 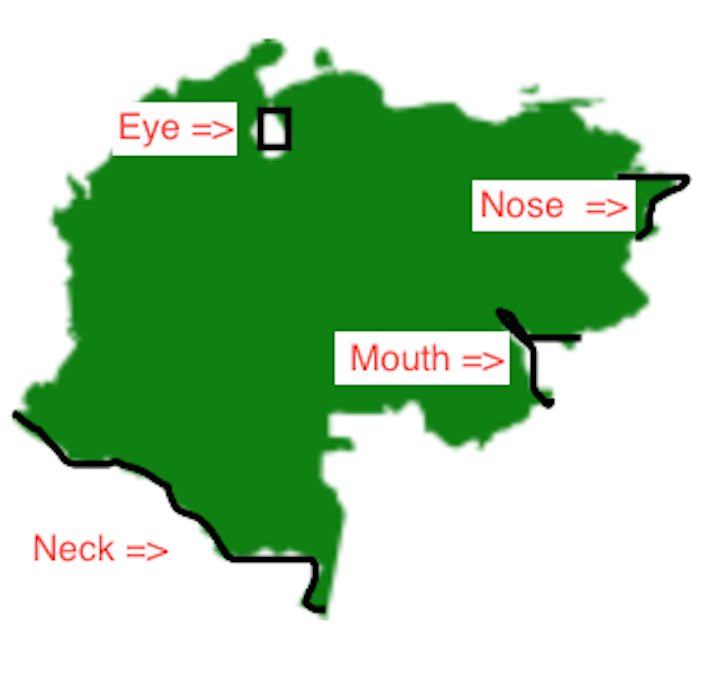 Fun quiz :) Should there be a little hole for Liechtenstein in the Switzerland/Austria clue? Thanks everyone! I guess Liechtenstein is just too microscopic to see compared to Switzerland and Austria. These are great quizzes. And surprisingly easy. I loved this quiz. Great idea! Finished with 3:03...Interesting how some of these countries were actually united at one point. The image featuring this quiz on the front page is vertically stretched. Yes, the image should have been DPRK/ROK or Sweden/Finland, in my opinion. Hahahahahahaha But you have to say the shape of Serbia is much nicer with Kosovo, right? wow, i didn't expect to get them all. Difficult, but not too hard. Nice idea, though! There is (should be) three countries in number 8: Spain, Portugal and CATALONIA!!! Which gives me an idea, 3 countries merged into one shape. Oh no! I gave my quiz idea away! dont forget basque country. how many groups actually want to break away? like five? This got 0 takes so far? Nice, but I kinda thought it would get at least 1. Ah, it's just the head. Lake Maracaibo is the eye. It's an airedale terrier. Or, what breed might it be? Like Milou in Tintin. This was a great quiz!!! I absolutely loved it! Are they any others just like it?? It is super tacky to put croatia with serbia and sudan with south sudan considering the human rights atrocities that went into those struggles. why not throw East Timor into the mix too? ooh, that would be fun. big country with little one so you have to kinda search for it. Challenging, but enjoyable. Kyrgyzstan-Tajikistan annoyed me the whole time, it looked so familiar but I couldn't put my finger on it. Eventually got there, but Poland-Belarus eluded me to the end. I enjoyed the former countries and natural pairings, although those were generally the easiest. It would be really cool to have a version like this but you had to name the capitals of the 2 countries instead! As if Czechoslovakia reunite again. This was way too easy for me. 4:06 on first try. I just typed through the names of every single country in the world to do this one. That seems like a huge waste of effort. cool quiz but needs more time imo. You need time to puzzle if you dont see it immediately.